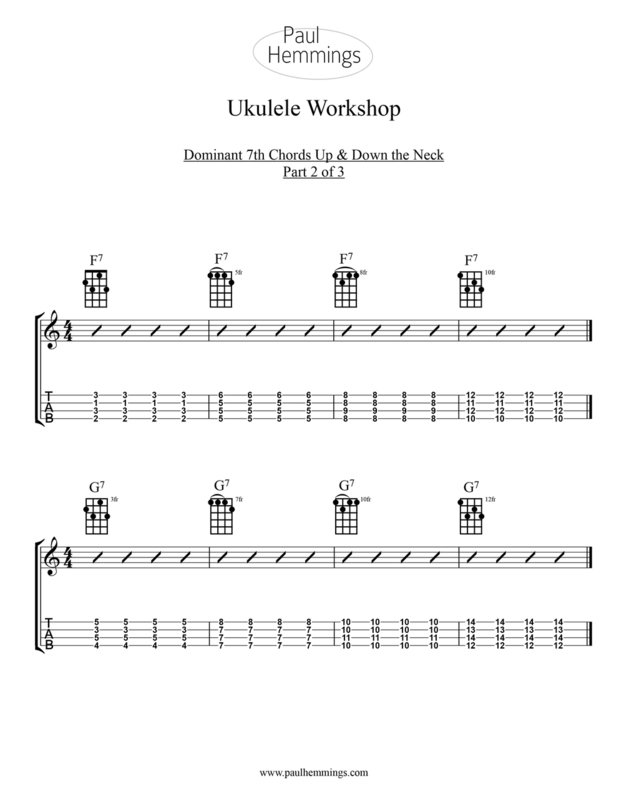 Learn how to play Dominant 7th chords up and down the neck of your ukulele. In Part 1 of this three-part lesson, you'll learn four ways to play C7 in different parts of the neck. 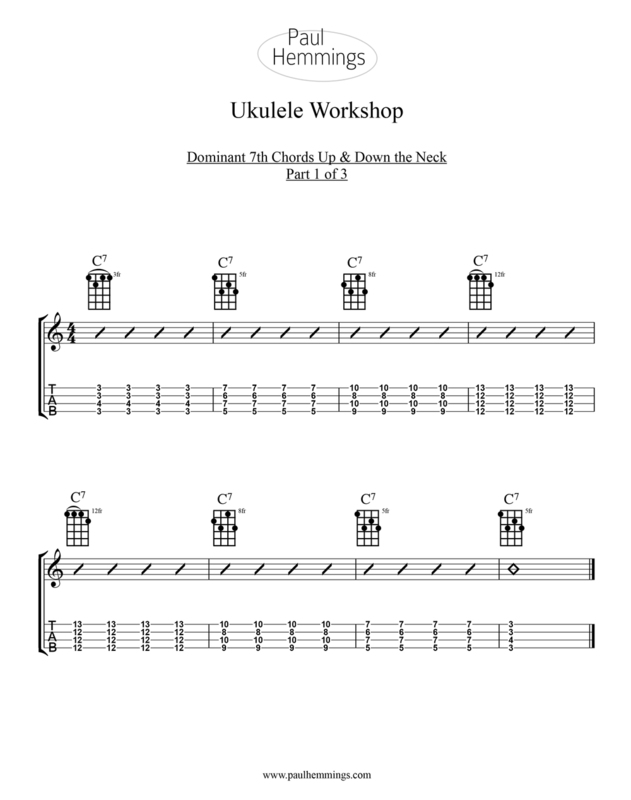 The final exercise at the end of the lesson is available to download as a printable handout by clicking on the button to the right of the video below. In Part 2 of this three-part video lesson, you'll apply the four chord shapes covered in Part 1 to two new chords: F7 and G7. Download the handout for this lesson by clicking on the PDF button to the right of the video below. In this workshop, we'll apply the four Dominant 7th Chord shapes we learned in Parts 1 & 2 to a 12-bar Blues in the key of C.
Here's a video tutorial that covers some interesting strumming techniques. Using Stevie Wonder's Sir Duke as an example, this lesson covers how to play the "fan stroke", the "hiccup stroke", and more. To the right of the video box below you can also download a PDF that breaks down all of these different techniques.